It’s amazing what God can do with 96 minutes. 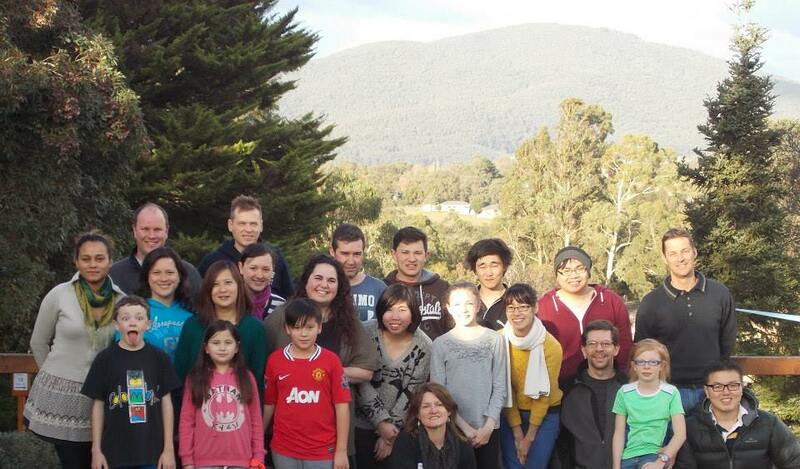 In early July OMS Australia hosted our first OneWeekend. OneWeekend is an event that has recruited several missionaries for OMS US, and has helped many more discover God’s calling for their lives. It’s where I was recruited to serve with HOPE61 in 2010. Three years later, I was able to help facilitate OneWeekend as an OMS missionary. Leaders & participants at OneWeekend, minus four! One of the young women I met there has calling to missions and a heart for those vulnerable to human trafficking. A few weeks after OneWeekend, she asked if we could meet up to watch “Nefarious: Merchant of Souls.” Before watching the documentary, we had a great talk about a OneWeekend session she missed – what barriers keep us from obeying the Great Commission and going into ministry, whether overseas or at home? The film is only 96 minutes, but that is more than enough time for us to be impacted by the real-life stories of the way Jesus Christ can redeem even people who sell each other, exploit each other, and give up their bodies to sin. Jesus can redeem the broken ones. And we’re all broken, in one way or the other. After the film we talked a little longer about HOPE61 and the upcoming events here in Australia, in particular the art show in November. As an artist herself, she was excited to attend and offered to help with advertising. Since I’m in dire need of some more submissions to the show, this was a huge help. She also asked to join the HOPE61 prayer team here in Australia. Not only did this young woman become more involved, but I was able to begin a friendship with a wonderful sister in Christ. Don’t be afraid to offer your time to God. He can use less than two hours to do His work in mighty ways!